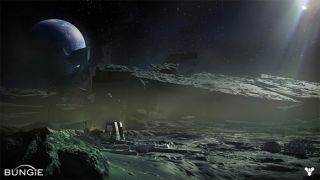 The eagerly-anticipated persistent world shooter, Destiny, will launch to gamers around the world on September 9 next year, the developer Bungie has announced. The release date is later than expected, but pre-order customers will get access to the beta version next summer, Bungie has said. Somewhat surprisingly, given the Halo developer's previous relationship with Microsoft, it's PS3 and PS4 owners who'll get first crack at the beta, although Xbox One and Xbox 360 owners will get a turn. "Today, in partnership with Activision, we are proud to announce that the worldwide launch of Destiny will happen on September 9th. Accordingly, the Destiny Beta will kick off in the summer of 2014, available first on PlayStation 4 and PlayStation 3," the developer said on its official blog. The later launch will give Bungie a chance to polish the game, but as Forbes rightly points out, will also allow it to avoid competition from Respawn Entertainment's potentially-epochal Titanfall, which arrives in March. It'll also mean Destiny will still be out before the next Call of Duty game, likely to be the first in the series to truly realise some of the power of the new systems. Bungie shows off the power of the next-gen with impressive new Destiny screens.